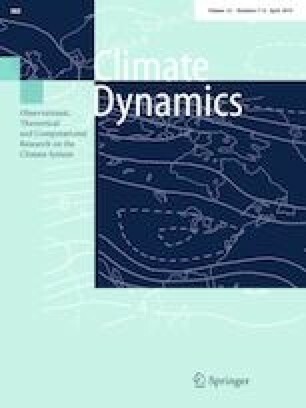 In this study, the Weather Research and Forecasting (WRF) model is used to quantify the effects of land use and cover change (LUCC) on the near-surface wind speed (SWS). The simulated results show that the SWS based on land use cover data for the 2010s (LUC10) is lower than that based on land use cover data for the 1980s (LUC80) by a difference of 0.17 m s−1; the LUCC effects also result in a decrease of 9.0% of the probability of strong wind. The LUCC effects induce significant alteration of the roughness length, causing changes in the drag coefficient and friction velocity, and thereby decrease SWS. A 0.1 m increase in roughness length could cause a 0.003 increase in drag coefficient and a 0.015 m s−1 increase in friction velocity. The contributions of LUCC to the SWS changes vary among different regions. The increase of SWS in Northeastern China is caused by the changes from deciduous broadleaf to deciduous needleleaf forests, mixed forests and croplands, and these changes decrease the surface roughness length, drag coefficient and friction velocity. The significant decrease of SWS over the middle reaches of the Yangtze River is induced by the changes from closed shrubland and cropland/natural vegetation mosaic to evergreen broadleaf and deciduous broadleaf forest. The slowdown of SWS over the Shandong Peninsula, the Beijing–Tianjin–Hebei region, the Yangtze River Delta, and the Pearl River Delta can be attributed to the extension of urban and built-up areas and the decrease of croplands and the cropland/natural vegetation mosaic. The slowdown in SWS caused by LUCC is also revealed by the friction wind model (FWM); however, the FWM presented more significant effects of LUCC on decrease in SWS. We cordially thank the reviewers for their thorough comments and constructive suggestions, which improve the paper quality significantly. We also thank all the dataset providers. The work is supported by Chinese National Science Foundation (Grant number 41675149, 41775087, 41875178), National Key Research and Development Program of China (Grant number 2018YFA0606004). This work is also supported by the Chinese Jiangsu Collaborative Innovation Center for Climate Change, and the Program for Key Laboratory in University of Yunnan Province.